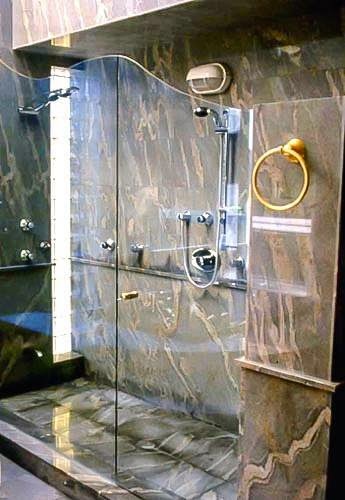 If you're like most people, you'll be very familiar with a 'standard' shower enclosure or door. One made of glass and framed with metal, that is. The glass used in these doors is traditionally quite thin and therefore inexpensive. 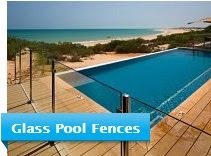 However, the glass needs the metal frame in order to support and strengthen it enough for it to fulfill its' purpose. There is now another option, which is becoming increasingly popular. It is the frameless glass shower door. This is made out of thicker, tempered (i.e. strengthened) glass. This means that no metal is needed to strengthen and support the door, only to secure the panels to your wall or shower unit. As the door is made of thicker glass, it will last 3 or 4 times as long as the traditional design. Naturally, this is a huge benefit as it's uncommon for people to replace their bathrooms frequently. Another clear (no pun intended...) benefit is the look. A frameless glass shower door gives a much cleaner, more streamlined, modern, minimalist look to your bath or shower room. There are different opinions about what is better to have in the bathroom, shower stall or bathtub, or both. This decision depends on what you prefer. 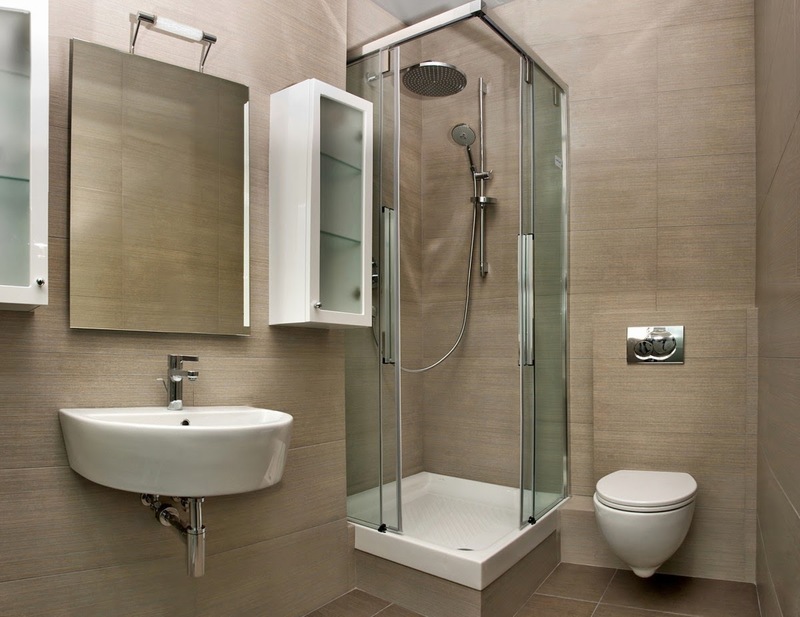 If you have a small bathroom, the shower stall is an ideal solution because you will thus use space maximally. The advantage of the shower stall is significantly less water consumption. On the other hand, classical bathtubs are the place for luxury, relaxation and enjoyment. Relaxing in the bathtub is the best way to enjoy and forget about all problems. Your choice of bathtub is a matter of style, but also a matter of space. Of course, the best would be to have both a bathtub and shower stall, if your real dimensions of space, needs and financial capacities allow. Since this is not often the case, you should make a choice which naturally depends on your personal habits. Contemporary lifestyle and limited space usually suggest that we should opt for shower doors. The bathroom designs of today are all about comfort, openness, and flow. Shower enclosures compliment this style mindset with gorgeous designs that provide a seamless look with contemporary flair. Shower curtains are a thing of the past, and custom glass shops are no longer your only avenue to achieving a beautiful and modern glass enclosure. When it comes to your home one of the most important areas is the bathroom. Remodeling can be a tough job and can end up taking much longer and costing much more than you first thought. 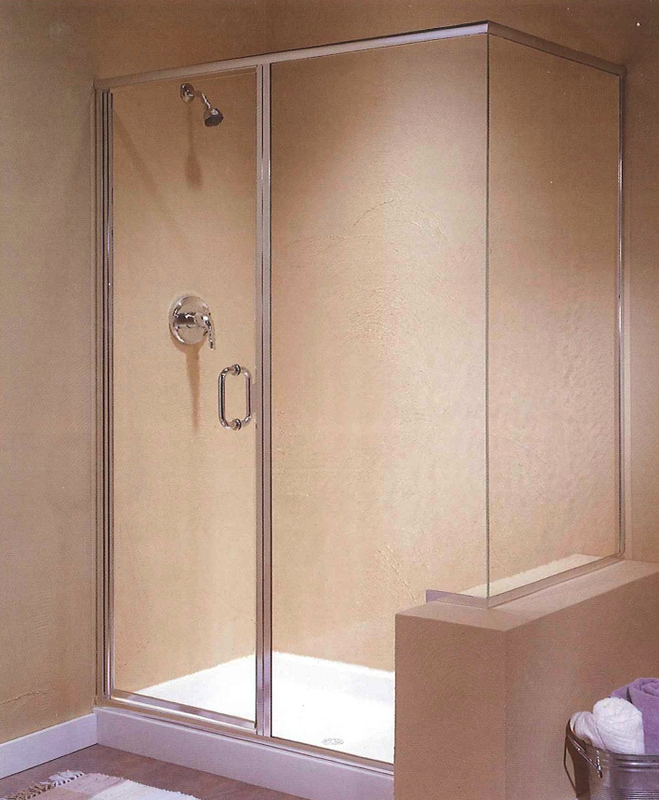 Glass shower enclosures come in tons of different sizes, shapes, configurations and finish options. 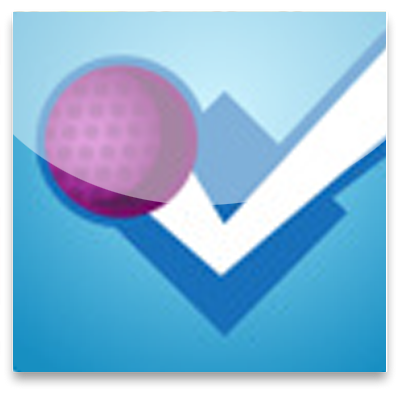 There are round, square, neo-angle, rectangular, and much more! Many of the shower enclosures manufactures allow you to create your own custom pan yourself, and use our glass to create a sleek shower of almost any size! With the different pre-cut sizes of the shower system you can literally have 10,000 different shower configurations! There are several gorgeous finishes to choose from, including chrome, brushed nickel, and oil rubbed bronze! Corner showers, enclave showers, even steam showers! Bi fold shower doors are those that fold in one place with a hinge, creating two panels. The average width of is a total of 48 inches, the same as the average width of a tub or shower stall. They sit in a track at the top and bottom of the tub or stall in the bathroom, and fold up into about a 4 inch space on either side of the track when opened all the way. Bi fold doors are normally used in bathrooms or basement areas as a replacement to shower curtains or sliding doors. 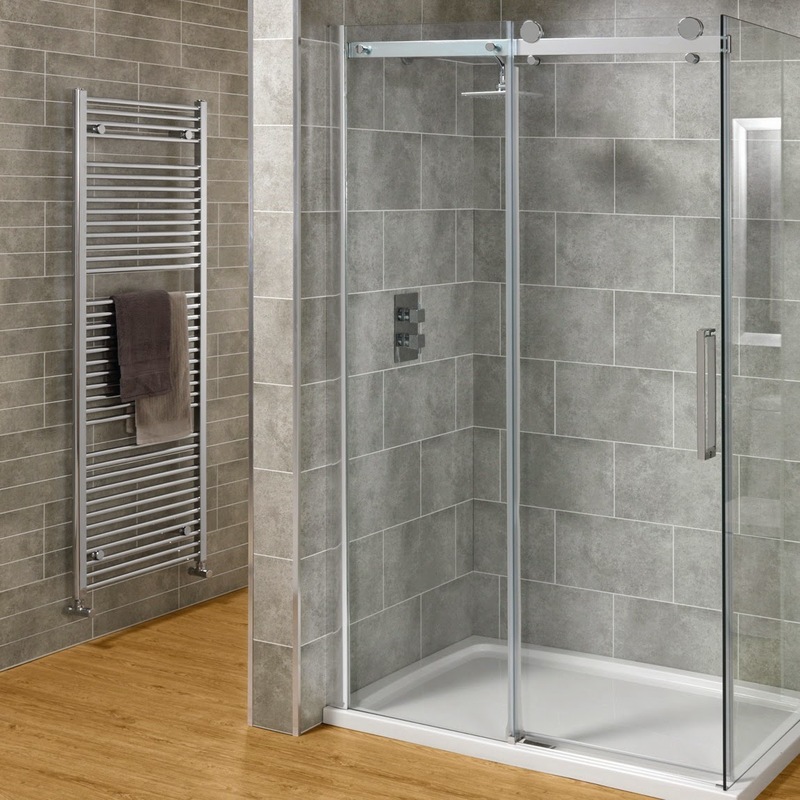 The sliding type take up more space when open because when open they will still take up 24 inches each, whereas bi fold shower doors only take up about 4 inches when open. 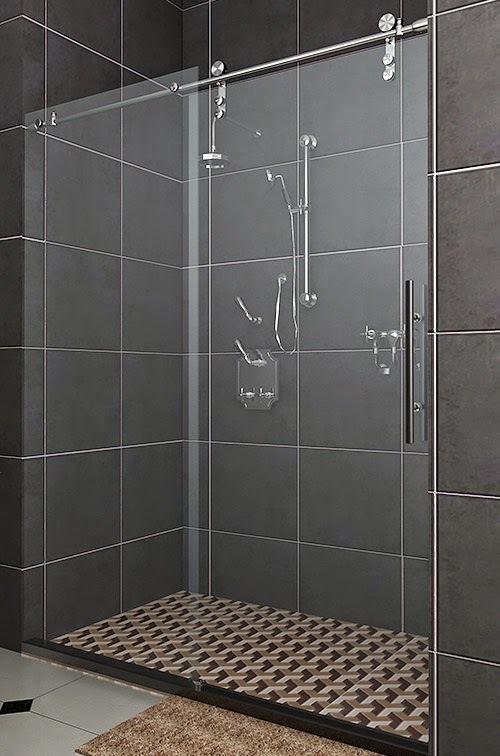 This leaves more open area for a person to maneuver into the shower area, and this can be important for those with mobility or weight issues. Prices for bi fold bathroom shower doors will vary based on materials, finishes, installation practices and types of glass. Many professional companies offer the installation of these in the bathroom. Options include accordion style, magnetic enclosures, framed and frameless models as well as different colors and types of glass. 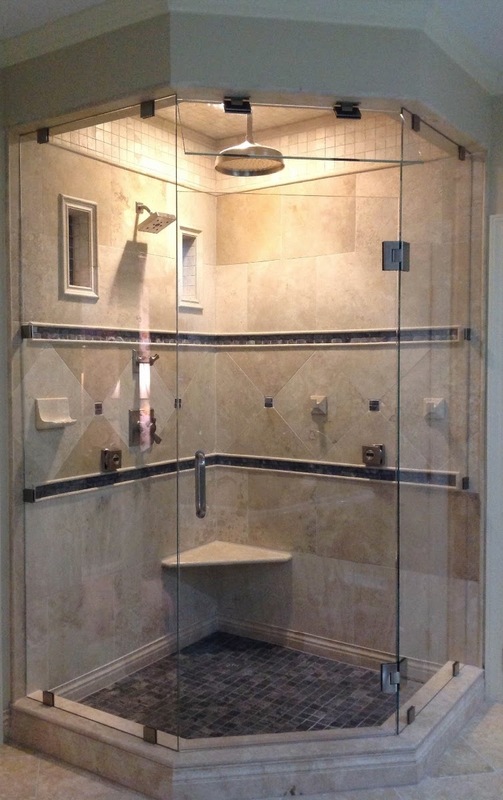 The glass used for all shower doors comes in 3 depths: 1/4 inch, 1/8 inch and 3/8 inch. Remember that all shower doors are made of safety glass, therefore just because the door is thicker does not mean it is safer. All are made the same in essence, and the safety glass that the law requires these be made from has to pass the same testing, regardless of the thickness. So if you cannot afford the thicker glass, you will still have the same safety rating. Glass has been into the homes and interiors of public places for the purpose of utility decorations and beautiful partitions and window panes. Furthermore, with the invention of glass blowing techniques, the beauty of the glass products has become unparalleled. While glass bricks are being used for larger rooms with partitions, it has also been used in kitchens and serves as glass shower doors. The use of glass in the bathroom has become popular due to its presentation in various colors and shades, its exclusive properties like adaptation to any type of environment, water resistance, and can be arranged in an innumerable variety of patterns. It also provides noise and heat insulation, apart from being stylish and modern. The anti-reflection glass is the modern advancement that has suppressed the complaints of glare caused by the glass. This also makes it suitable for making other household items like furniture, chairs, shelves, picture frames, etc. 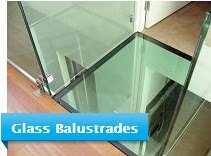 The glass enclosure is also suitable for custom designing. Colors and decorations can be painted to the glass panels, either by designers or on our own. Some devices or stands can also be fixed or attached to the enclosure. Glass enclosure decors come in two major varieties, the framed panels or the frameless ones. The intermediary ones are the semi-framed ones. These varieties are available to suit the different needs of the bathroom and the various tastes of the individual users. However, the framed ones are more durable than the less framed ones. Once you have purchased a glass door handle and have determined that all the pieces are included in the handle set, you are ready to start installing the piece. Before you start installation though, be sure an instruction sheet is included in the sheet. More often than not, you may not have to use these instructions. If you have never installed a glass handle, you will need the instructions. More often than not, you will be replacing a handle that's already in place. If the glass handle you're installing is identical or similar to the one you're replacing, you may not need the instructions and will be able to do the installation within minutes. Here is an example of how to replace a glass door handle on a glass shower door. Your first step is to remove the the old handle and then clean the area from which you removed it. If glue or any other type of adhesive was used on the old one, make sure that any remaining matter is scraped off to allow the new door handle to be installed as smooth as possible. The best way to enhance the look of your bathroom is by adding a stylish door to your shower cubicle. Folding shower doors hold maximum appeal when it comes to interior decor. Folding doors make space-saving more efficient. They offer a clean, compact look to your bathroom, and are very durable. They can be removed and attached when required, and make a major style-statement. Foldable doors are manufactured in a variety of materials - aluminium, plastic, fibre-glass, foam, plexi-glass, etc. They are available in a wide range of designs and colors that you can choose from to best suit your bathroom. Foldable doors come with and without frames. The ones with frames slide along a rail like sliding doors, while the ones without frames are generally made of glass and have transparent plastic hinges that are nearly invisible. Foldable doors are also available in smart-glass, allowing you to adjust their transparency or opacity electronically. Naturally, these are more expensive than doors made of other materials. The problem with foldable doors with frames is that the rails upon which the doors slide are prone to corrosion if not kept dry. It is near impossible to keep one particular part of a shower cubicle dry, so doors with frames are to be avoided unless of course, the bathroom is well ventilated or has an exhaust fan. If you do it the right way, there are few pleasures on earth better than a hot shower in a glass-encased shower stall. Of course, there's one thing that really is better than that - a hot shower in a shower stall encased in glass that you put there yourself. A shower door installation, for the DIY enthusiast, can be a very entertaining project to take up. It isn't that hard, but it does involve skill, patience, the use of the right tools and results that can simply look stunning. Stunning in the way that can make you feel good about yourself. So here's a little shower door installation guide for the first-time DIY enthusiast. The first thing you need to do is to cut that track. You need to carefully measure the area inside the shower door, and use the measurement to cut the track. You can use a hack saw for it. If you really want straight edges, a miter box would be good idea. You need to temporarily hold the track in place now. You need to place it on the bathtub or the shower area and then hold it in place with tape. Look for the side rails and slide them in place. You can use a plumb level to make sure that things are level. Now you need to mount the jambs on either side of the curb. First mark the holes where they will go, and then remove the jambs and everything. You'll need to roll out the heavy equipment now. Get a 3/16 inch bit for you drill that is able to cut into a smooth surface like tile, and drill away. You only need to get plastic nail holders or wall holders that'll be able to hold screws now. You hammer them into the holes you've made, and you're set for the screwing in. Today, a modern bathrooms tries to meet the practical while at the same time exude a contemporary look by adding a glass shower enclosure. Before you start adding things in your bathroom, you need to think about the type of shower enclosure that suits you. A strong suggestion is a glass shower enclosure. 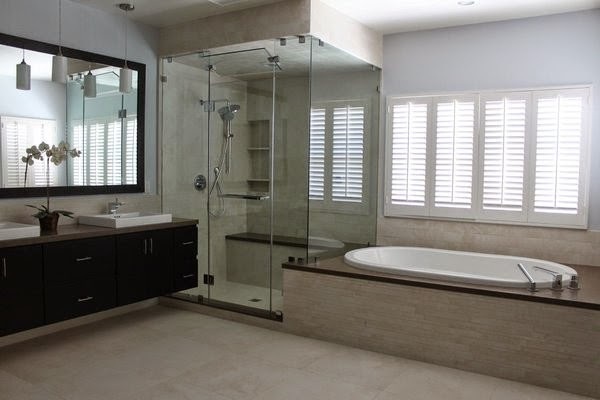 While you take a look at all your options, you will encounter many different considerations such as the color of the shower doors, glass shower door and more stuff in addition to shower enclosures itself. And above all that, you will need to decide on its structure. You can choose a glass shower enclosure without a frame complete with a frameless glass shower door if you wish. There are lots of options to consider when searching for the best. The new glass shower enclosure is highlighted by an attractive, straight and refined form, designed to capture your senses. It's usually made of sanitary antibacterial acrylic it's very light, durable and sustainable, and to maintain its beauty requires minimal maintenance. Choosing the right end, angled or curved glass block can make all the difference in creating a soundly constructed good looking project. In this article you'll learn some simple design tips to choose the right shaped unit for your shower, wall, window or bar. Design Tip # 1 - When to use a bullnose finished end - Creating an all-glass look for a shower or partition wall creates a more pleasing look than having to finish the end of your wall with a dissimilar material. The glass finishing units are excellent to finish the end of a wall and are available in 3 sizes - 6" x 8" x 4", 8" x 8" x 4" and 8" x 8" x 3 1/8". The 4" series blocks can be purchased in several patterns in clear, colored and frosted designs. The 6" x 8" x 4" size works well for curved glass shower walls were the depth of the shower is limited. The 3 1/8" thickness unit from Mulia is a good fit to reduce project costs for straight wall applications because these thinner units are less costly. Design Tip # 2 - When to use a curved block - Making a curved glass wall cost effectively has been greatly simplified with the introduction of this shaped unit. Since the face of the block is larger in the front than it is in the back you can created a radius or round shaped wall without have to use big grout joints in the front and small ones in the back. The curved Arque unit has a front face that is 6" x 8" x 4" and each unit makes a 22 Â½ degree turn (therefore if you use 4 of these units you'll make a complete 90 degree turn). The blocks are available in two different patterns and many colored and frosted designs. 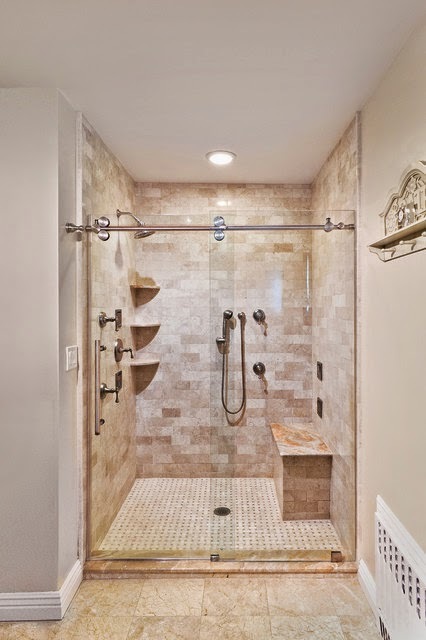 The most popular uses of curved walls are for walk in showers and partition walls. Glass shower enclosures allow homeowners to transform their bathrooms into modern, chic spaces. With the right combination of glass enclosures and stylish designs to choose from, you can even make your bathroom resemble any high-end hotel bathroom space! Glass shower enclosures are becoming more and more reasonably priced these days. With an increased number of production techniques available in manufacturing these glass enclosures, it is possible to make your home beautiful and elegant in no time! There is a wide selection of installation types, which can help lend added grace and charm to your bathroom. 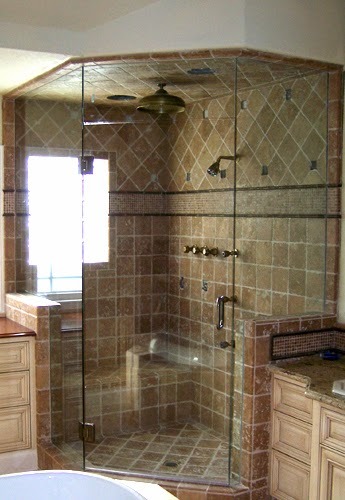 When used for the shower area, these glass enclosures can look classy and very chic. Such a design and style is especially complementing for a house that has an urban theme to it. 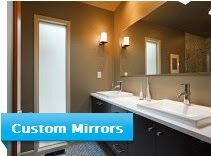 In addition, with the numerous styles, designs and sizes available, it is easy to transform any bathroom space. 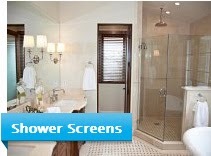 Glass shower enclosures have considerably reduced in price over the years. With a large range of price slots available, you can select an enclosure that matches your budget. If you are ready to shell out exorbitant amounts and wish that your bathroom resembles a royal space, then too you can select many enclosure variants in the market today. If you prefer a more modest glass enclosure then too you can find one. Even the low priced versions have fantastic detailing and designs on them. 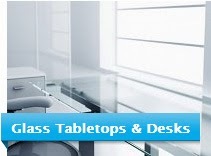 In fact, some of the cost effective versions look very elegant and are as good as any costly cubicle. 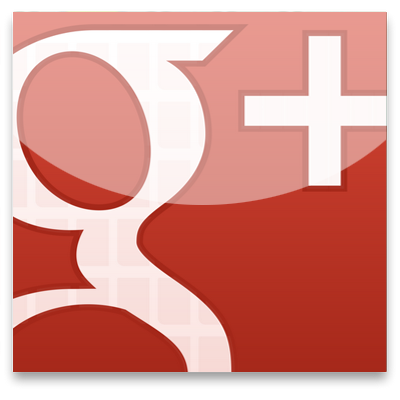 There are many stores online, which provide a fine selection of such enclosures at very reasonable rates. We always have a hard time with shower glass doors cleaning. Most of the staff on the glass doors are soap scum, mildew and hard water deposits. This makes your glass door look fogged. This is not hard to clean if you do it once a week, otherwise scum will build up, it would become difficult to make glass doors shine. Some cleaner can be used to clean glass doors, like dishwashing detergent, vinegar, oven cleaner, lemon juice, bleach, rubbing alcohol, plastic squeegee is the best hand tool because metal could damage glass material. Before starting your job, your need to read cleaning solutions' safety instruction carefully, always follow the safety procedure, since most of chemical cleaner is toxic, it contain acetic and phosphoric acid. Make sure the bathroom is well ventilated and you need to wear rubber glove to keep your skin away from chemical cleaner, then you can start. Test cleaning solution at a small corner first before apply it to the whole glass, insure it will not damage your glass doors. Apply cleaner to the whole shower doors, set it for at least 30 minutes. Scrub the surface with soft, non-abrasive cloth or sponge which will not scratch the glass. Rinse with cold water to remove cleaner and stain. Designing a home that combines beauty and functionality is not at all challenging these days as there are unlimited products and design ideas to incorporate. Most home builders fail to search for great designs and ideas mainly due to the time and expense factor, but approaching the right designers and vendors can actually get you the best products and design ideas at reasonable prices. While the main construction of homes itself doesn't take much time, planning, designing and getting the right fixtures for each room is time consuming. Therefore, if you want to avoid such delays and hassles, look for a one-stop service provider who can offer high range of cabinets, wardrobes, shower glass doors, railings, display units, tub and everything else for every room in your home. Creating functional and aesthetically appealing bathrooms is not a challenge any more as you can do a lot of things even if the space is limited. 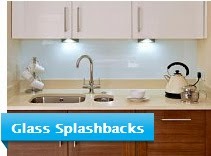 Using glass in various forms can actually help you achieve a highly functional, low maintenance yet a beautiful space. Generally, builders mark out two major areas in a bathroom; wet and dry areas. Choosing fabric or other opaque partition will make the space appear too small and dark. 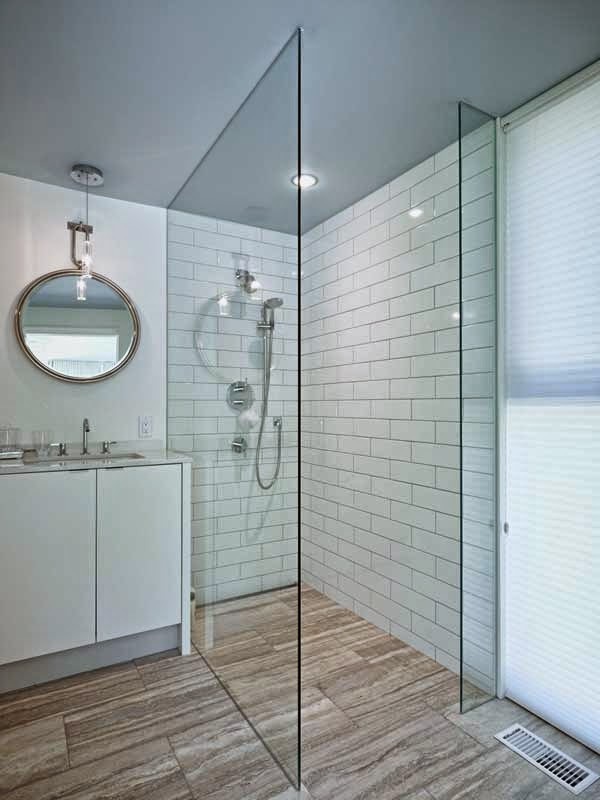 Instead you can use sliding shower doors made of glass. This material will make the room appear larger and brighter. Cleaning of such products is also much easier and the extreme temperatures will not have any adverse effect on the glass. How Does Glass Thickness Effect the Quality of a Shower Enclosure? 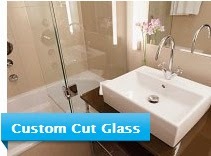 Shower enclosures these days are available in a variety of glass thickness. Does the thickness of glass necessarily effect the overall quality or safety of a glass shower enclosure? In the last few years we have seen shower glass thickness increase from around 3mm up to 10mm in some products. All glass used in the construction of shower enclosures for sale in the UK must have Toughened Safety Glass fitted as standard. This is regardless of the country of manufacture and is intended to reduce the risk of injury should the glass be broken or shattered in any way. Toughened safety glass (also known as tempered glass) is a form of glass treatment which will ensure the broken glass in a smashed glass shower pane will not break into sharpe fragments. Instead it will literally shatter into thousands of very small pieces without the cutting ability of non treated glass. 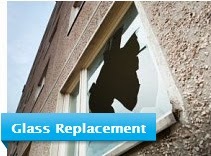 This is not to say that a shattered glass unit cannot cause injury, only that it is much more unlikely to do so. Many people think that the actual thickness of the glass is a direct indicator of its safety. This is not the case in the UK as all showers will have toughened safety glass which shatters in the same way regardless of thickness. However, is the thickness an indicator of quality? Well, in terms of actual 'feel' and movement, the thicker glass showers do have a more weighted feel. Sliding doors for example may wobble a little with use when constructed using 3 or 4mm glass. 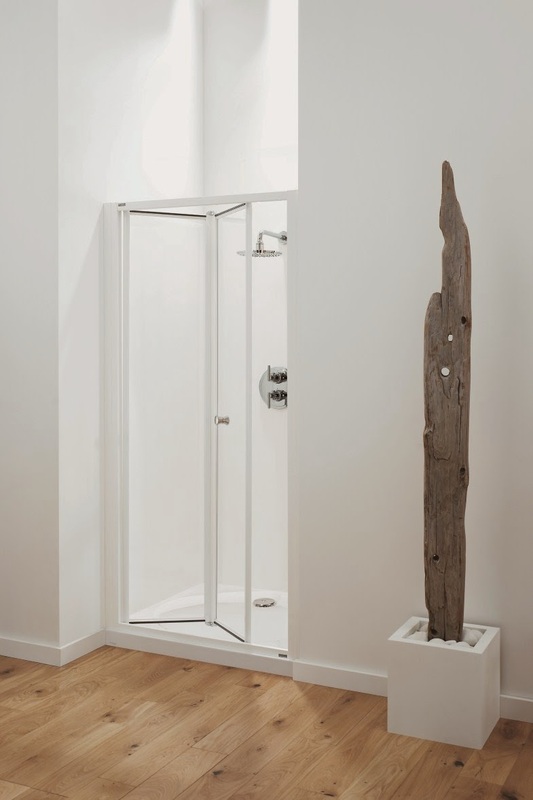 Whilst a 6 or 8mm glass sliding shower door might be more solid and move less when opened or closed. This is not to say that the glass is of any better quality itself, only that the movement of opening shower doors may benefit by using a thicker glass. 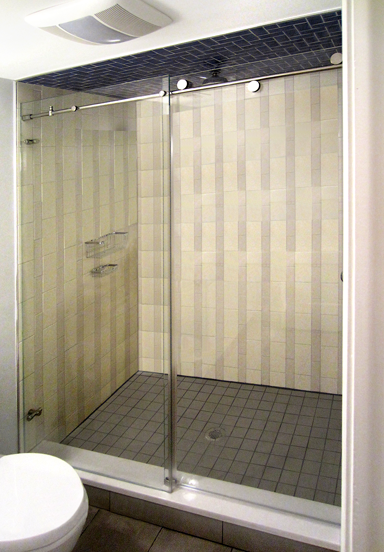 Another factor that will increase the solid feel of a moving shower door is its hinges or sliding mechanism. As thicker glass means an increase in weight, it stands to reason that the mechanisms used to move the shower doors need to be more heavy duty in construction than those needed for thinner glass. This will also help to give a thicker glass shower door better 'feel' in its opening and closing action. One room in the house that never seems to be quite big enough, is the bathroom. Unless you are one of the lucky ones, your bathroom is probably the average size which probably looks even smaller with all of the junk that finds it way behind the door. Besides a little organization, there are some decorating steps you can take to make the look and feel of your small bathroom a little less crowded. Using soft cool colors such as a pink, blue, green, lavender or a cream pastel shade will give the illusion of more space at the same time as creating a feeling of serenity. Too add a little splash for highlights you can add bold colors for accessories such as towels, shower curtain, rug, and toilet seat cover. Lighting does wonders for opening up the look of your bathroom. You can install a recessed can lighting into your ceiling to focus on any work space. Wall sconces or a counter top lamp can add some warmth to your small bathroom. If you have the right design and budget, you can even put in a skylight, larger windows or Solar tubes to add even more depth to your room. Take a look around and evaluate your space. Do you really need that large vanity? How about replacing it with a pedestal or wall mounted sink to free up some much needed floor space. If you find you need to store some supplies, try tacking up a small shelf on the wall over the toilet or rearranging a nearby linen closet. Another tip you could use to make a small bathroom appear larger, is if it is possible to replace a shower door with a shower curtain. If your shower design does not support this type of change, try trading a frosted glass shower door for a clear glass one to provide more depth to the room.